As CEO of DoSomething.org, the largest organization for teens and social change in the world, Nancy Lublin is able to name all 5 members of One Direction without a smidge of sarcasm. An expert on youth, social media, and pop culture, brands like Pepsi and Chase and several tech start-ups have sought her advice and Fast Company has named her to their Most Creative People list. 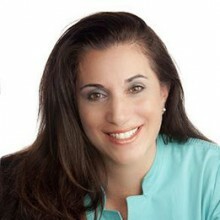 In 2013, while still CEO of DoSomething.org, Lublin turned her popular TED talk (http://bit.ly/1elbveM) into her third company, Crisis Text Line (CTL). CTL is the first 24/7, free, nationwide text line for teens. Prior to leading DoSomething.org and CTL, Nancy turned a $5,000 inheritance into Dress for Success, which helps women transition from welfare to work in more than 125 cities in 15 countries. Before leading two of the most popular charity brands in America, she was a bookworm. She studied politics at Brown University, political theory at Oxford University (as a Marshall Scholar), and has a law degree from New York University. She is the author of the best-selling business book Zilch: The Power of Zero in Business and is one of the top 50 Influencers on LinkedIN. Nancy was recently named Fortune’s “World’s 50 Greatest Leaders” alongside the Pope and Dalai Lama. Nancy is a Young Global Leader of the World Economic Forum (attending Davos multiple times), a Crown Fellow of the Aspen Institute.